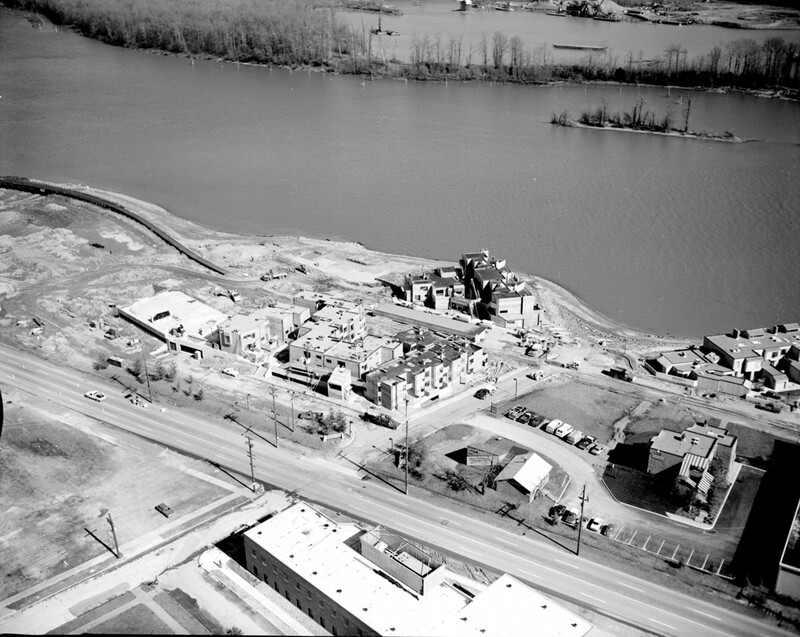 Construction of apartments and condominiums along the Willamette river in 1975 signal a shift away from the waterfront being an industrial environment to residential and commercial. John’s Landing refers to the B.P. John Furniture Company, some of whose buildings are still standing in the area. SW Macadam Ave. and SW Pendleton St. cross here. That little sliver of land in the Willamette is called Toe Island. There’s no leaves on the trees but it doesn’t look like there are many on the ground either so I’m guessing this picture wasn’t taken in Fall or Sumer. The river looks pretty high too so… maybe taken in Spring?